If you are a cyclist, you are one of the most vulnerable road users. And the increasing popularity of cycling has also meant a significant increase in cycling accidents. The most recent study published by the Road Safety Authority shows cycling accidents up 59% year on year. Most cycling accidents happen in built-up urban areas and, unsurprising in this context, Dublin has by far the largest proportion of accidents * involving bicycles followed by Cork, Galway and Limerick. The vast majority of cycling accidents * involve another vehicle, where someone on a bike is struck by a car or goods vehicle. Heavy goods vehicles (HGVs) are a particularly hazardous for cyclists as they are prone to blind spots which make cyclists difficult for HGV drivers to see. If you are a cyclist who has been injured as a result of the negligence of a driver of another vehicle, you may be entitled to make a claim for personal injuries * suffered as a result. As insurance is mandatory for all motor vehicles on Irish roads, it is generally the negligent driver’s insurance company who will be responsible for dealing with any claim arising. In rural areas, the hazards involved in cycling are different; narrow roads, bad road conditions and loose animals on the roads all pose particular challenges for cyclists. 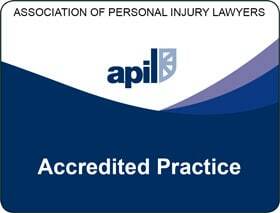 If you suffer an accident as a result of a badly designed or constructed road feature, the local authority may be responsible for any claim for personal injuries * suffered by you as a result. Where loose or stray animals are the cause of an accident, the owner may be liable for your accident and may be covered under farm or household insurance for any claim arising. 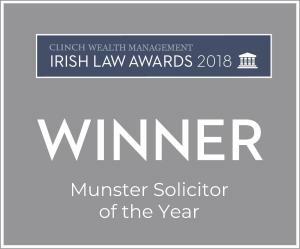 My name is Flor McCarthy and I am Managing Partner here at McCarthy and Co.; I’m also an active cyclist and, as someone who’s spent quite a bit of time cycling on Irish roads, I appreciate how vulnerable you are as a cyclist, and, how serious the consequences can be for you, if you do have an accident on your bike. For this reason, I have written a guide to road cycling safety which provides some common sense tips on how to stay safe on your bike and avoid accidents. It also outlines your rights if you’ve actually suffered an accident *. It is intended to answer the most frequently asked questions raised by cyclists like you on these issues. To get your free copy of the guide, please just leave your details in the box on the side or below and I’ll get your copy of the guide to you straight away. Alternatively, if you have immediate queries, our live chat operator is available to help you with any questions you may have at any time or, you can just give us a call on our nationwide Locall number 1890 390 555 during office hours. Our cycling accident claims solicitors assist people all over the country from our offices in Dublin and Cork. P.S. 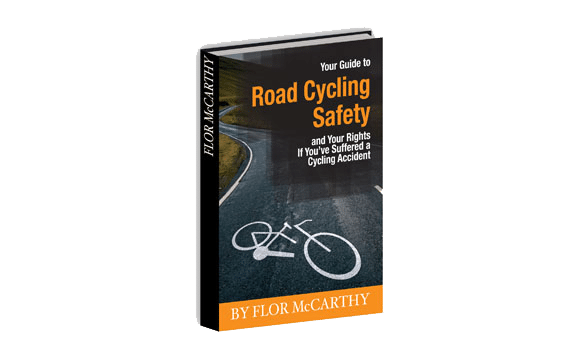 To get started, please leave your details below and get your free copy of Your Guide to Road Cycling Safety and Your Rights if you’ve suffered a Cycling Accident right now. To get your free copy of A Guide to Cycling Safety and Cycling Accident Claims, leave your details below.